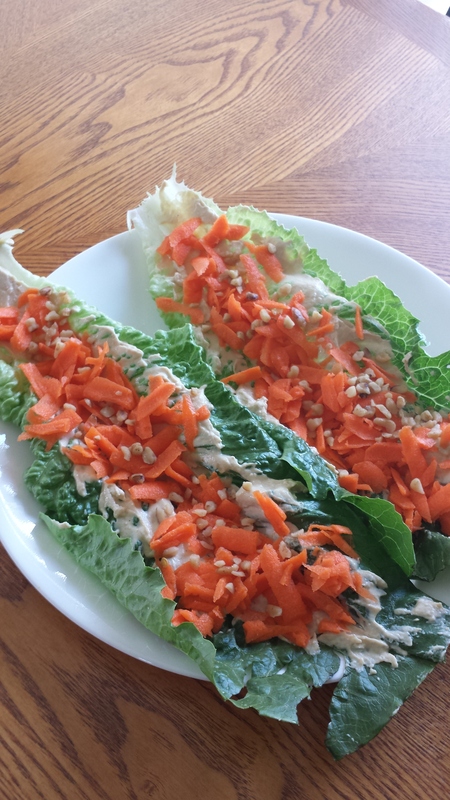 Inspired by the Raw Dijon-Hempseed Lettuce Wraps by Kimberly Snyder, I created another delicious lunch or snack on crispy romaine leaves to enjoy at home or work. It’s very easy, cool and yummy. It’s also wonderful to take with you on your next trip to the beach. 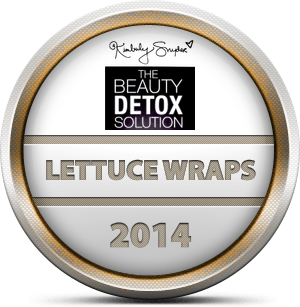 Romaine leaves-Take the number of romaine lettuce leaves depending on the number of people that will be eating. Wash each leaf thoroughly and dry. Add chopped walnuts. You may use any other healthy nut or seeds such as chia or hemp seeds. Ok, so if you think this was a “No Brainer” then get right to it and share, share… I want to know how it tasted to you.